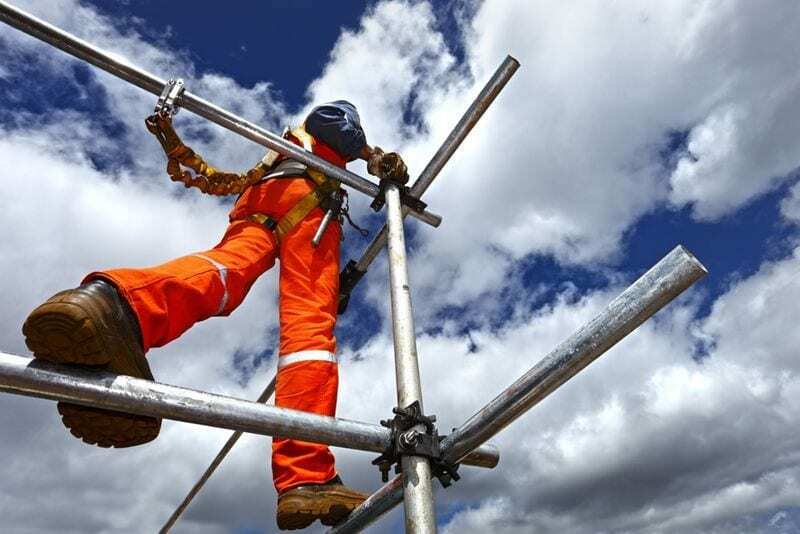 Serious injuries suffered by a subcontractor in Victoria have once again brought height safety in Australian workplaces to the attention of authorities. Despite frequent reminders of risk and regulations to protect people, workers in hazardous situations are still being injured by improper practices, reinforcing the importance of appropriate training and equipment. In September of 2015, the plasterer suffered a fractured skull and spinal injuries after falling from approximately 2.1 metres above the ground, where he was working on a scaffolding platform with no guard rails. Found to be in breach of the OHS Act 2004, the Ocean Grove builder was convicted and fined over $25,000 over the incident, with WorkSafe Victoria executive director of health and safety, Marnie Williams, reminding organisations of their obligations. Have the right equipment every time you are working at heights. In jobs that involve working at height, prevention is always better than cure. Identifying hazards before they have the chance to cause harm to a person is the critical first step before starting any job that may involve workers being elevated off the ground. or close to holes large enough for a worker to fall into. Should your workplace feature one or more of these aspects, special care must be taken by all workers carrying out tasks in the hazardous zones. As mentioned in the case above, most injuries can be prevented by having the right equipment on site to reduce the chance of an incident, or minimise the impact should one occur. Depending on the location, this can either be done with the use of passive fall prevention devices such as platforms and guardrails, work-positioning systems such as roof anchor points, or fall-arrest systems such as safety harnesses. Whatever the specifics of your worksite, Anchor Safe Systems has the equipment and advice you need. Speak to us today, and make sure your workers are well protected.